Our run as cord-cutters has come to an end after several years though it wasn’t by choice; the apartment complex where we live has made a fee mandatory that includes the cost of cable and since there’s no point paying for cable and not using it we decided to cut some of the online streaming services that we’ve been using and get a DVR from our cable provider. Living as cord-cutters for over six years worked great but that’s a post for another time. I opted to get an X1 DVR from Comcast so we could record shows (we chose to drop Hulu and HBO) that we would have watched via Hulu as well as some other series that we’ve been purchasing through iTunes over the years. The Short Version: The Scosche passPORT Charging Adapter for iPod & iPhone can restore full iPod/iPhone integration with a 2006 Scion but the connections may not hold up over time. This information may be useful for more than just 2006 Scion owners. It might work for anyone using newer iPods or iPhones with older accessories that were once fully compatible with previous editions of those devices. In this case, I bought my wife a 4th gen iPod touch for Christmas. On a short road-trip we were happy to learn that her car’s iPod integration worked with the new 4th gen… mostly. Unfortunately, it wouldn’t charge the newer iPod touch (everything worked great with her older 1st gen iPod Touch). I wasn’t sure there was a solution available, short of buying a new cable or head unit, but I surfed over to Google and started browsing forums. It didn’t take more than a minute before I found several references from other Scion owners to the Scosche passPORT Charging Adapter for iPod & iPhone. The adapter arrived today so we took it along with us for a short drive we already had planned. Sure enough, it worked great. Note that it does make it so the iPod/iPhone won’t fit as elegantly into the center console as it did, but integration for the new iPod touch is working as it did with the older iPod touch. Updated 04/16/2012: While the adapter does function properly we’ve found that it doesn’t fit tightly on the iPod touch any more. As a result, it often comes slightly loose – just enough to lose connection. I think this product would work better if it was a cable rather than a short adapter. The added flexibility would reduce stress on the connectors and make it easier to set the iPod touch down in a better position. 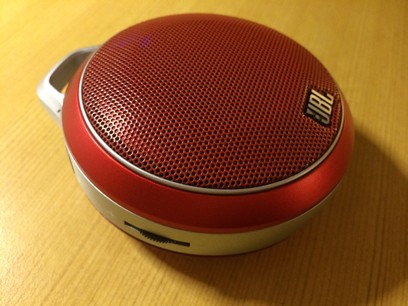 I recently purchased a set of wireless speakers, which I’ve connected to my ASUS EeeBox PC. 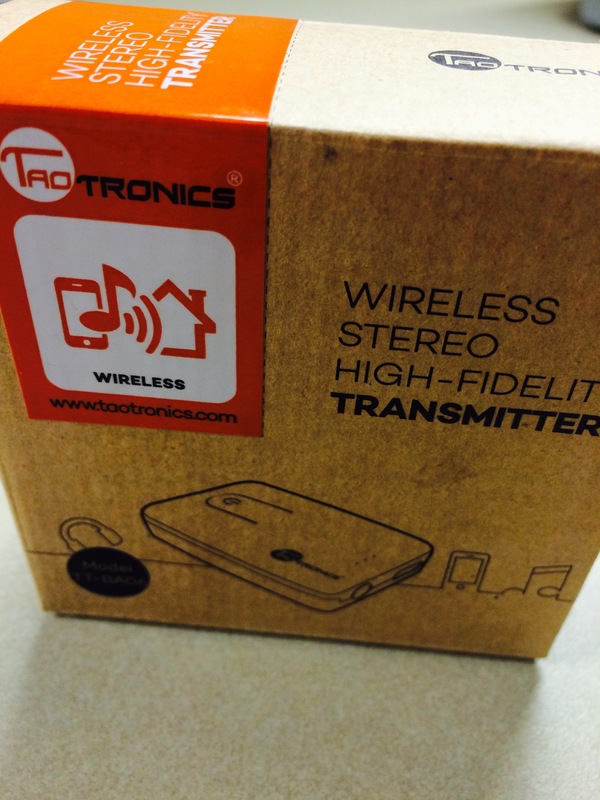 They work well but I have encountered a problem that is common to wireless speakers – they go into a standby mode and require a few seconds to initialize. For playing music this isn’t a problem. 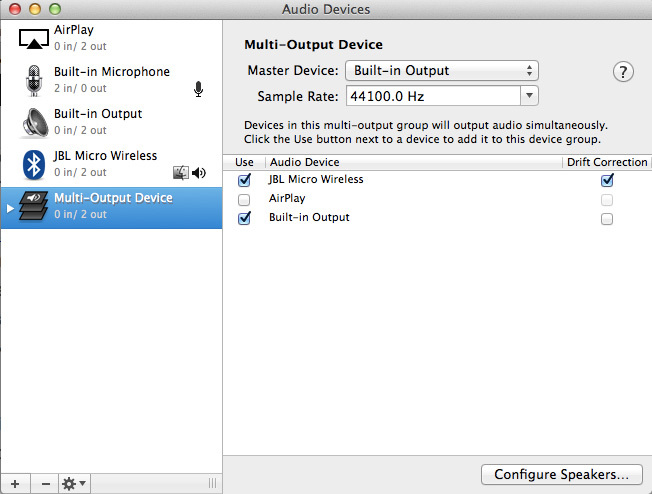 However, using the speakers for text-to-speech can be a problem as the speakers may not initialize before the computer has finished speaking. 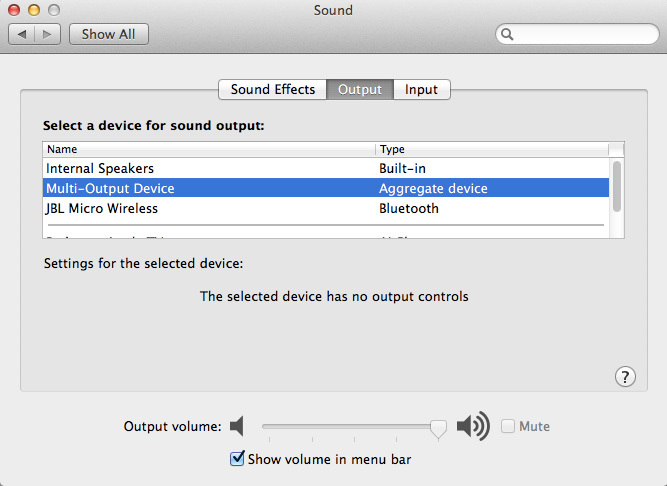 In addition, Windows text-to-speech output doesn’t seem to have a signal strong enough to wake up the speakers anyway.